The European Journal of Neurology recently published a risk score that allows early estimation of the probability for shunt dependency after subarachnoid hemorrhage. CHESS stands for Chronic Hydrocephalus Ensuing from SAH Score. This score can be helpful in deciding whether a permanent CSF diversion is needed in post-hemorrhage hydrocephalus (PHH). All patients with acute PHH underwent CSF diversion via EVD or lumbar drainage. Continuous drianage was maintained for at least 7 days. Patients who developed subacute PHH were treated with serial lumbar punctures. The drain (EVD or lumbar drain) was challenged starting the second week of SAH in the absence of clinical contraindications (ICP issues or infection). Drain was closed for 48 hours with CT scans performed before and after clamping. Shunt placement was performed after two unsuccessful clamping trials. The ROC curve between the CHESS and shunt rates showed a significant cutoff at 6 points. CHESS score <6 points showed NPV of 84.9%. A shunt-restrictive policy as well as an early transfer to rehabilitation can be considered in SAH patients with low CHESS scores. Jabbarli, R. et al. “The CHESS Score: A Simple Tool For Early Prediction Of Shunt Dependency After Aneurysmal Subarachnoid Hemorrhage”. Eur J Neurol (2016). Marino, Paul L, Kenneth M Sutin, and Paul L Marino. The Little ICU Book Of Facts And Formulas. Philadelphia: Wolter Kluwer Health/Lippincott Williams & Wilkins, 2009. Print. 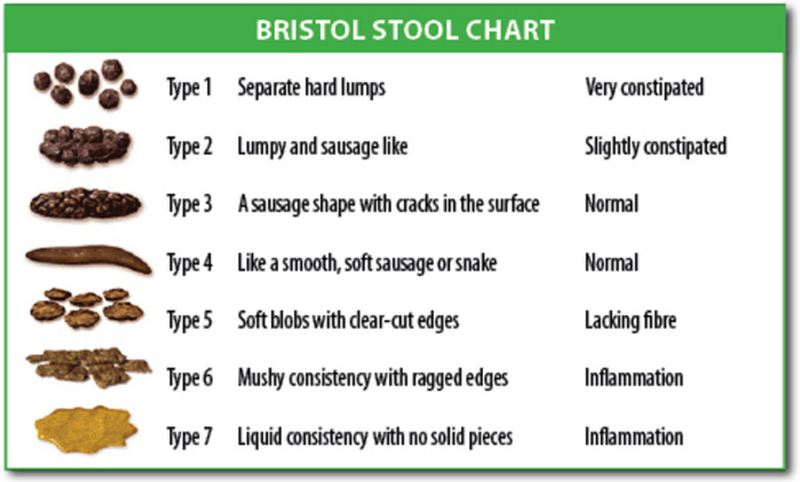 I didn’t realize that there was a grading system for constipation and diarrhea until I saw a poster at the SCCM conference looking into diarrhea post-enteral feedings using this chart. In patients with atrial fibrillation who are started on anticoagulation, what is the risk of major bleeding in 1 year? The HAS-BLED score was developed as a practical risk score to estimate the 1-year risk for major bleeding in patients with atrial fibrillation. Major bleeding defined as any bleeding requiring hospitalization, and/or causing a decrease in hemoglobin level > 2 g/L, and/or requiring blood transfusion that was not hemorrhagic stroke. Consider using the HAS-BLED score as a tool to potentially guide the decision to start anticoagulation in patients with atrial fibrillation.Consider comparing the risk for major bleeding as calculated by the HAS-BLED score to the risk for thromboembolic events by the CHADS2 or CHA2DS2-VASc to determine if the benefit of anti-coagulation outweighs the risk. Pisters, Ron. “A Novel User-Friendly Score (HAS-BLED) To Assess 1-Year Risk Of Major Bleeding In Patients With Atrial Fibrillation”. Chest 138.5 (2010): 1093. Web.